The Band's Visit: A New Musical - Vocal Selections (Paperback) | The Drama Book Shop, Inc.
(Vocal Selections). 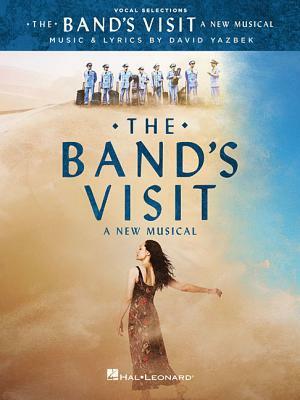 Winner of the 2018 Tony Awards for Best Musical, Best Original Score, and eight others, The Band's Visit is a musical adaptation of the 2007 Israeli film of the same name and features music and lyrics by David Yazbek. This folio features 11 songs with vocal lines and piano accompaniment. Songs include: Answer Me * The Beat of Your Heart * Haled's Song About Love * It Is What It Is * Itzik's Lullaby * Omar Sharif * Papi Hears the Ocean * Something Different * Soraya * Waiting * Welcome to Nowhere.